Great excitement was palpable when this event was announced, especially because it was to celebrate the SAAF Silver Falcon's 50th anniversary! The weather was extremely hot in the few days prior to the event - 41C on the field on the Thursday with no wind and the predicting were accurate for Saturday with consistent wind from the South of at least 15 kts, mostly 30 kts and gusting to 35 kts. This sadly led to some of the displays being cancelled in the interest of safety - namely the parachute drops by Special Forces and Mother City Skydiving, and the Radio Controlled Glider, which had been already validated. Working on Fire Displays were also cancelled for the same reason. 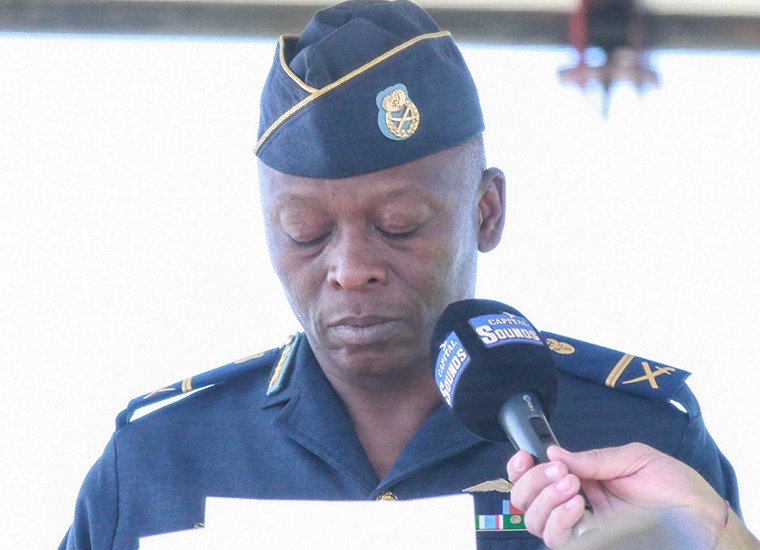 SAAF validations had been run on Wednesday and Thursday, with Civilian items validating of Friday with some early on Saturday, due to a delay in AvGas delivery. Pre-sold entrance tickets had sold over 6000 by Friday afternoon, but many “walk-in” visitors were expected to buy tickets at the gate on Saturday. As per normal Military approach the show was officially opened with the cavalcade of emergency vehicles, although there were no customary parachutists to deliver the scroll due to wind restrictions. A fan break salute by the Silver Falcons aerobatic team signaled the official opening instead and an opening address was made by Brigadier General Mac Mathanda, Officer Commanding of AFB Langebaanweg, who gave a very brief history of the start of the Silver Falcons team and their first official display for the opening of Atlas Aircraft Corporation in November 1967. 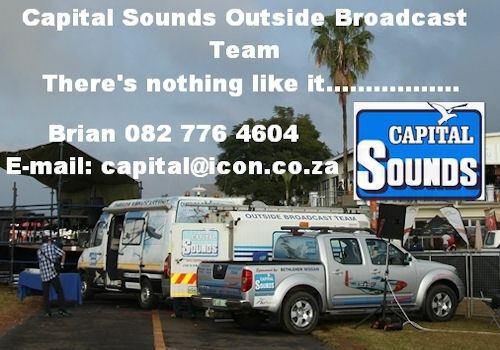 Expert radio control enthusiasts from the Cape wowed the crowd with a 46 % scale Ultimate biplane complete with smoke system and a Mirage III CZ scale model also visited Langebaanweg which brought back memories of weapons camps for some. SAAF Oryx and Augusta Helicopters from 22 and 15 Squadrons respectively gave a two-ship display, shown here doing the break at the end of their display, with the Augusta giving a more detailed capability demonstration afterwards. 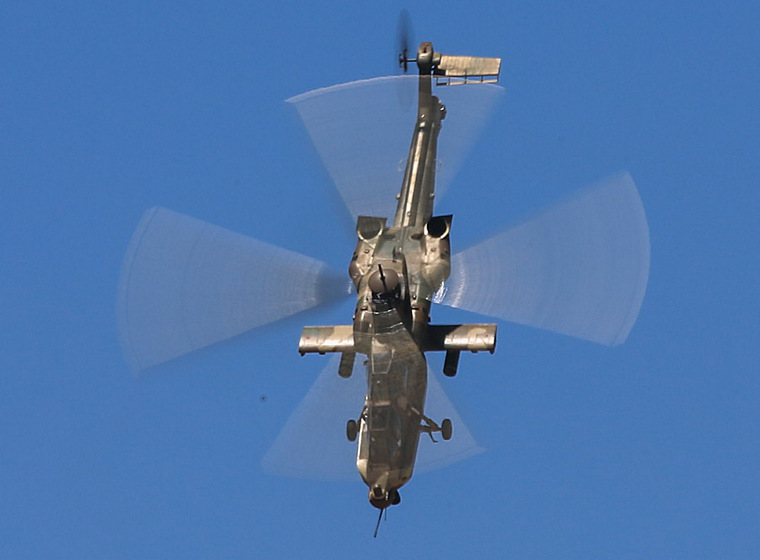 SAAF Rooivalk which was locally developed and built gave a good account of itself in displaying its capability. It is certainly not what you want hunting you down, with its agility and advanced detection systems there is no place to hide and various weapons systems such and rockets and helmet aimed 20mm canon are formidable. The AMS EC145 Helicopter demostrated emergency rescue operations with hoisting. 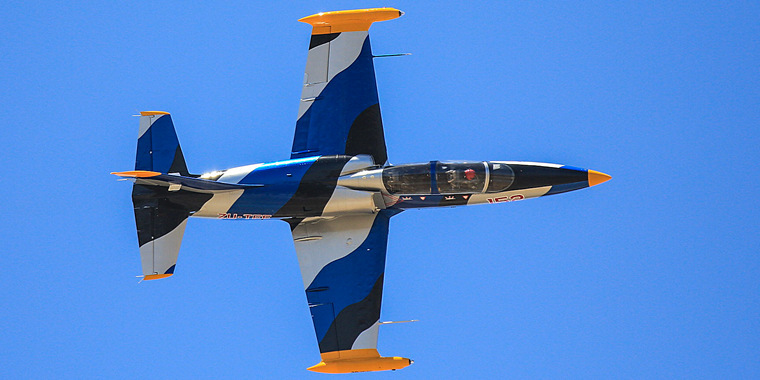 Mike Weingaazrt and Glen Warden gave great displays with the Impala Mk I and L39, showing all angles of the aircraft and their capabilities, and providing excellent photo-opportunities with what Glen describes the the “bana pass” along the crowd line. These gentlemen don't fly aircraft, they wear them and it is a delight to see and hear their silk-smooth handing of these machines! Koos Kieck commentated while the Impala displayed and described it as the “Impala subsonic super sauna” having spent many hours driving that machine himself. Andrew Blackwood-Murray gave magnificent solo aerobatic displays in his Extra 300, sponsored by Nashua, having moved on from the Zlin he previously flew and done so well in competition. The Raptors RV team has burst onto the airshow scene recently and show what is possible from this kit-plane from Vans, when in the hands of expert and experienced display pilots. They certainly had to work hard to maintain their wonderfully tight formations in the wind and their expansive follow-the-leader part of the routine is a refreshing change in a display. 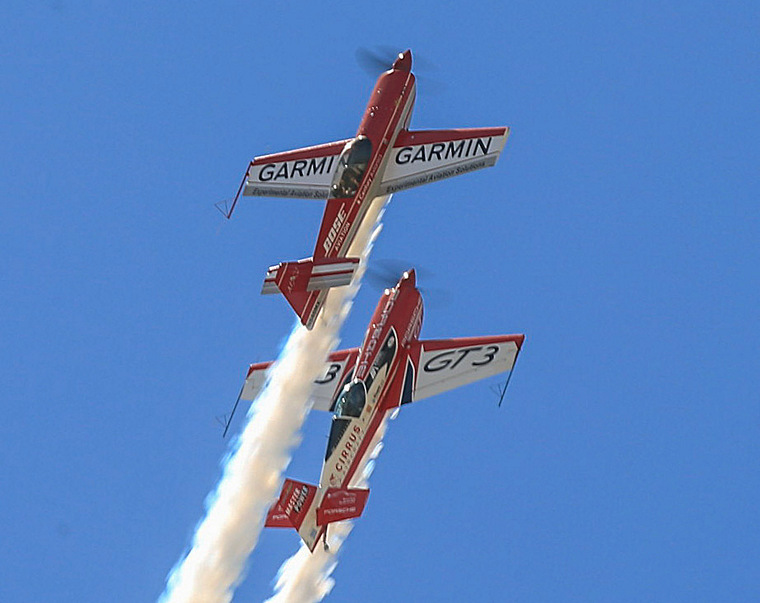 Team Extreme showed their high energy formation routines with their Extra and MX-2 and even these high performance machines gave their pilots plenty of work to do in the high and gusting wind. Their tight formations were maintained throughout which is a testament to the expertise of these expert aviation pilots who have extended their aviation professionalism into their passion. SAAF 85 Air Combat School demonstrated the Hawk Mk 120 to perfection with Major Craig Leeson showing its capabilities. The SAAB Gripen front line fighter was put through its paces by Major Jeffery Cooper. The sound barrier was broken by this aircraft at around 30 000 feet following a descent from 40 000 feet. The aircraft was barely visible and the sound of the shock wave was not very loud. 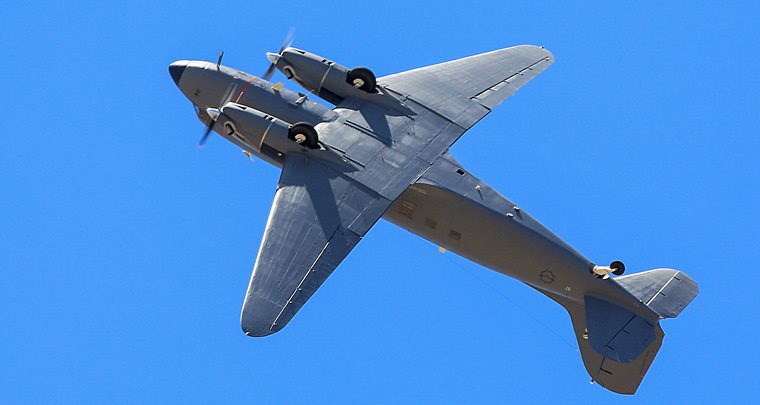 SAAF 35 Squadron Dakota C47TP was masterfully demonstrated by ex-Silver Falcon leader Major Scott Ternet, shown here almost inverted. A “combat/tactical” short landing was demonstrated as well as the ability to fly with one propeller fully feathered. An Air Force airshow would not be complete without showing the heavier transport workhorse, the Hercules C130 transport from SAAF 28 Squadron, powered by four Allison turbo-prop engines. Short landing and takeoffs were shown as well as the turn of speed possible with this huge machine. The Flying Lions Harvard aerobatic team always adds the “heavy metal” aspect to an airshow with their Pratt &Whitney radial engines and propellers producing that characteristic sound while Scully Levin and his team perform their aerial ballet to the delight of the crowds. 21 Astras from Central Flying School, based at AFB Langebaanweg took to the air and formed an anniversary tribute to the Silver Falcons for their 50th anniversary under the leadership of Lt Colonel Pat Cele. Quite an achievement to maintain their formation accuracy in the prevailing wind conditions! 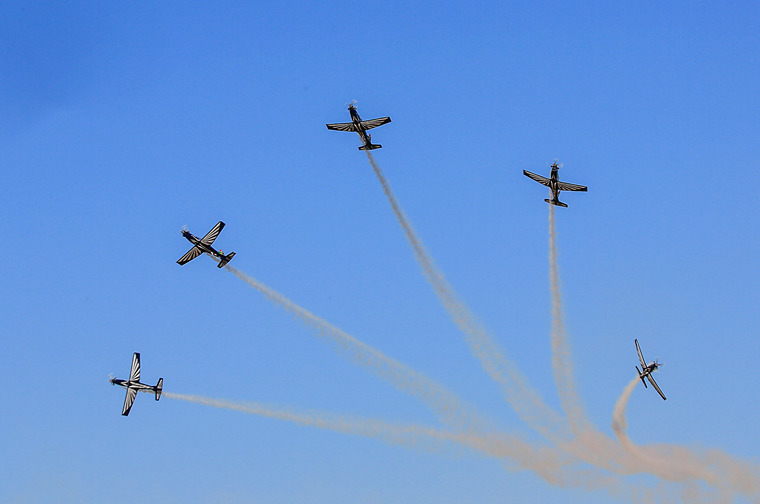 Mango Airlines has been performing at airshows for some years with the Silver Falcons and to be “at home” with them SAAF AFB Langebaanweg was a special treat on their 50th Anniversary. Demonstration of the Boeing 737 and a missed approach was also something special for the crowd. Team 81 of the Silver Falcons led by Major Mark Gentles, who holds the record for number of Silver Falcons airshow sorties, did its final airshow break, and while each team member flew down the crowd line in greeting, Mark's wife, Suretta was given the commentary box microphone by Brian Emmenis of Capital Sounds, to give her tribute to her man and the Silver Falcons team. They celebrate their 6th wedding anniversary today, Sunday - congratulations!!! 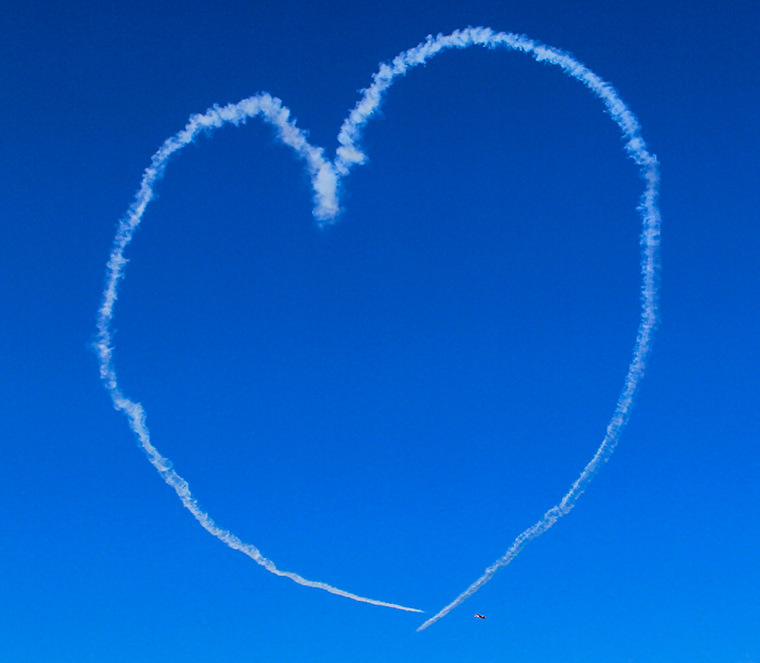 Pilots love to perform at airshow and the public love to watch them. Thank-you to all at SAAF AFB Langebaanweg for hosting the event and all involved behind the scenes to make this event happen. 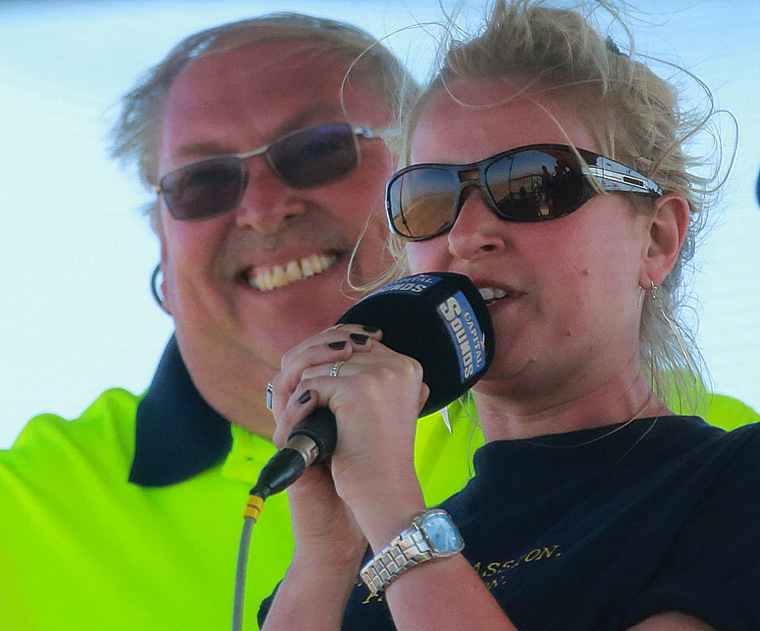 When the next event happens, we hope the weather is more favorable! Well done to Colonel Fryer and Rikus Erasmus for hosting a safe airshow under trying weather conditions. Lt Colonel Andrew and the Ramp control did an excellent job of making sure the aircraft were ready for their slots and the Air Traffic Control team kept things flowing safely. Brian Emmenis and his team from Capital Sounds managed the commentary excellently, as always, and made use of specialist pilots to commentate as the appropriate displays were running to provide context and little known facts from the cockpit viewpoint. Well done one and all!